Charlotte Gann’s debut poetry collection is filled with dark and anxious poems that aren’t afraid to leave their often-worrying situations unresolved. won’t upset the whole. Or that it will. It is an unsettling opening and shares the duplicity of film noir protagonists, who are often forced into situations where they have to break the law. Like many of those films, Gann’s world is voyeuristic and intriguing, and feeds off of darkness. A neighbour raking leaves in his garden ‘straightens things under a white tent’ suggesting the mise-en-scéne of a forensics team. Rain falls in ‘drops big as bullets’. A girl’s ‘laughing eyes are hollow / sockets’. The section ends with a poem titled, simply, ‘Prisoner’. Like many recent noirish TV shows, Gann uses the five sections of Noir to open various windows on disturbing situations. Throughout the book the speaker takes on the role of an observer. The opening section, ‘Surveillance’, details the comings and goings of inhabitants of a seemingly-ordinary street and bares some resemblance to Douglas Dunn’s Terry Street, which detailed the lives of working-class neighbours. Whereas Dunn celebrates, Gann enquires, suggests and casts doubt. The collection’s emphasis on observation could also be read as a metaphor for the role of the writer. In his detective novel, The New York Trilogy, Paul Auster writes that the writer and the detective are ‘interchangeable’. Gann trades on this idea. Each poem is an investigation. The poem ‘Cluster’ in particular, which weaves the routines of a lecturer and a writer, connects the act of writing to dark matter. In his essay, ‘Feeling into Words’, Seamus Heaney celebrated the allure of the darkness, and how poetry was, in a sense, an excavation for secrets or ‘revelations of the self to the self’. This begs the question, what secrets did Gann uncover in writing Noir? the pavement outside the station, and cries out. Several references to butterflies and one to John Fowles’s novel The Collector (in which a butterfly collector kidnaps a woman to add to his collection) echo the somewhat malevolent placing of characters in terrible situations, which braids a foreboding sense of terror throughout the book. In the excellent ‘Old Wives’ an ‘endless stream of wives and mothers’ continuously gather at a kitchen table to ‘weep and smoke and whisper secrets’. He holds her in his vice. He licks dry lips, lamp at the window. young wife starts, cheeks paling, eyes watering. Pauses at her stitch, but does not speak. He’s taught her about interrupting. There’s a fear here than Gann is being gratuitous. Where before she seemed to answer back, in these examples she risks becoming complicit. Gann tip-toes around describing the violence, being neither too-graphic, nor too-clear. This, paired with the sometime reliance on crime-story archetypes, can leave the work in this section flat. Are these micro-fictions, intended, as in Carter’s short stories, to be adult fairy tales that challenge the representation of women? If so here Gann refuses to rescue her characters. Like in many films noir, the world just is. Deryn-Rees Jones’s book-length poem Quiver is an apt comparison. Although it too deals with the murder of a woman, Rees-Jones interlaces her noirish murder-mystery with a study of fertility. It also subverts male dominance over a female character by having two female agents, the narrator and the narrator’s alter-ego, Faith, as investigators. For some, Noir might not go far enough to challenge the terrifying norm, but perhaps Gann presents it plainly as a way to avoid glamorising it? stares down at his feet, face pink. His worst subject. whispers, You’re doing well, Giles. from a phone box in the basement. A queue is always forming. a pocket of hot silence. I do wonder, however, whether the collection’s title and evocative atmosphere leads to unnecessary comparisons. By aligning itself with film noir it demands to be read alongside that contested body of films, which changes the reading of them. With clipped finger nails, scrutinise its contents under the surgical bulb of a table lamp…. At times Noir might have drilled a little deeper into why its world is so dark, or, perhaps, explored how a sense of claustrophobia or surveillance rules our lives, but strength is also gathered through this refusal to stray or over-analyse its duplicitous world. This relentlessness is echoed between poems through the recurring use of shadow and light, which serves to compress the terror of Gann’s dark world, and lend it urgency. 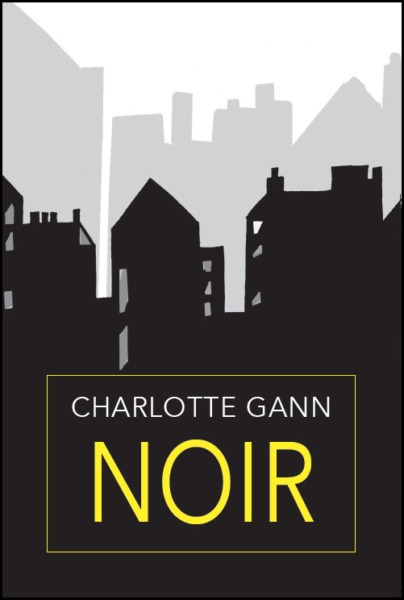 You can order Noir by Charlotte Gann from the HappenStance website. Reviews are a new initiative from the Poetry School. We invite (and pay) emerging poetry reviewers to focus their critical skills on the small press, pamphlet and indie publications that excite us the most. If you’d like to review us or submit your publications for review, contact Will Barrett at online@poetryschool.com.